Brahmanda Purana are other two Puranic genre encyclopedic texts that deal with Ganesha. Ganesha dancing, which is a very popular theme. Common attributes For thirty-two popular iconographic forms of Ganesha, see Thirty-two forms of Ganesha. Ganesha sculpture from North Bengal, 11th century CE, Asian Art Museum of Berlin (Dahlem). Ganesha, Chola period, early 13th century. (O Lord Ganapati!) 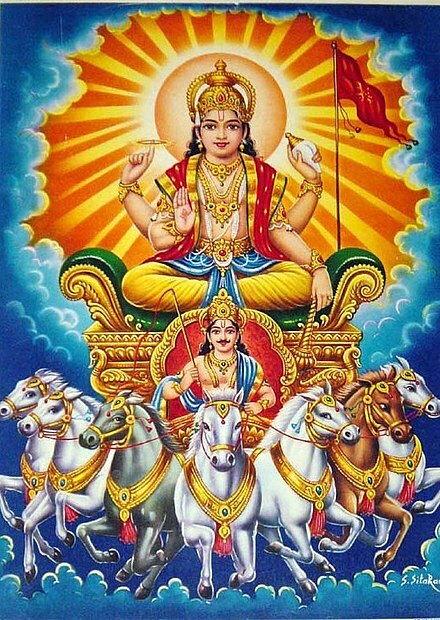 You are (the Trimurti) Brahma, Vishnu, and Mahesa. You are Indra. You are fire [Agni] and air [Vāyu]. You are the sun [Sūrya] and the moon [Chandrama]. You are Brahman. You are (the three worlds) Bhuloka [earth], Antariksha-loka [space], and Swargaloka [heaven]. You are Om. (That is to say, You are all this). Parvati giving a bath to Ganesha. Kangra miniature, 18th century. Allahabad Museum, New Delhi. Ganesha sculpture from Cham dynasty, Vietnam. What is inscrutable is the somewhat dramatic appearance of Gaņeśa on the historical scene. His antecedents are not clear. His wide acceptance and popularity, which transcend sectarian and territorial limits, are indeed amazing. On the one hand, there is the pious belief of the orthodox devotees in Gaņeśa's Vedic origins and in the Purāṇic explanations contained in the confusing, but nonetheless interesting, mythology. On the other hand, there are doubts about the existence of the idea and the icon of this deity" before the fourth to fifth century A.D. ... [I]n my opinion, indeed there is no convincing evidence [in ancient Brahmanic literature] of the existence of this divinity prior to the fifth century. Hinduism out of the interactions of the Aryan and non-Aryan populations. There is no independent evidence for an elephant cult or a totem; nor is there any archaeological data pointing to a tradition prior to what we can already see in place in the Purāṇic literature and the iconography of Gaņeśa. Above all, one cannot help being struck by the fact that the numerous stories surrounding Gaṇeśa concentrate on an unexpectedly limited number of incidents. These incidents are mainly three: his birth and parenthood, his elephant head, and his single tusk. Other incidents are touched on in the texts, but to a far lesser extent. "Dancing Ganesh. 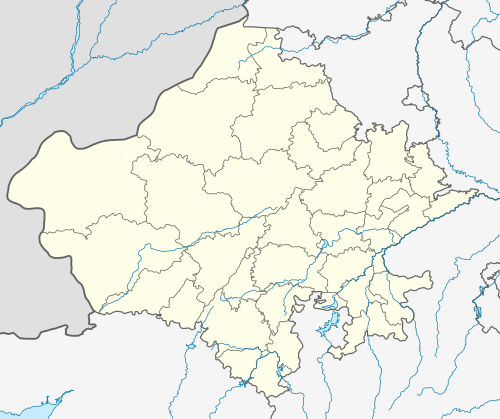 Central Tibet. Early fifteenth century. Colours on cotton. Height: 68 centimeters". 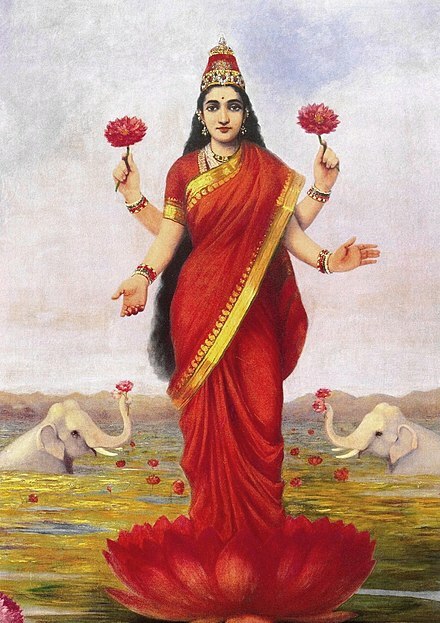 This form is also known as Maharakta ("The Great Red One"). Ganesha is regarded as a remover of obstacles, the god of success. 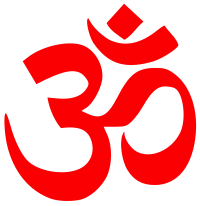 Ganesha cult was first mentioned in 806. 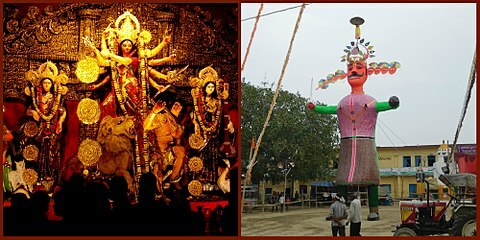 Hindu gods and his image is found in practically every part of India. " Rao, p. 1. Martin-Dubost, pp. 2–4. Brown, p. 1. 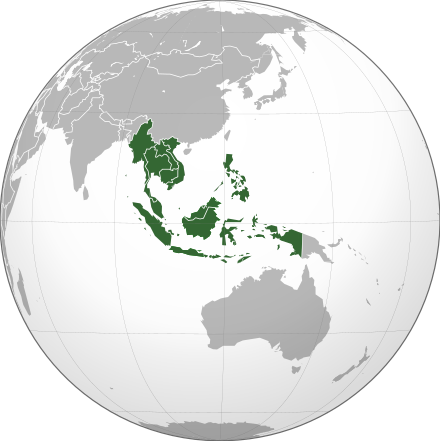 Ganesha worship to Nepal, Chinese Turkestan, Tibet, Burma, Siam, Indo-China, Java, Bali, Borneo, China, and Japan Martin-Dubost, pp. 311–320. Thapan, p. 13. Pal, p. x.
Narain, A. K. "Gaṇeśa: A Protohistory of the Idea and the Icon". Brown, pp. 21–22. Apte, p. 395. Oka 1913, p. 8 for source text of Amarakośa 1.38 as vināyako vighnarājadvaimāturagaṇādhipāḥ – apyekadantaherambalambodaragajānanāḥ. 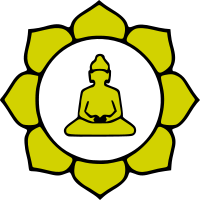 Śāstri 1978 for text of Amarakośa versified as 1.1.38. Ganesha with a focus on art and iconography. Martin-Dubost, pp. 197–198. photograph 9, "Ganesh images being taken for immersion", in: Pal, pp. 22–23. For an example of a large image of this type being carried in a festival procession. Pal, p. 25, For two similar statues about to be immersed. Ganesha dancing. Brown, p. 183. For popularity of the dancing form. Krishan 1999, p. 89, For two-armed forms as an earlier development than four-armed forms. Brown, p. 103. Maruti Nandan Tiwari and Kamal Giri say in "Images of Gaṇeśa In Jainism" that the presence of only two arms on a Ganesha image points to an early date. 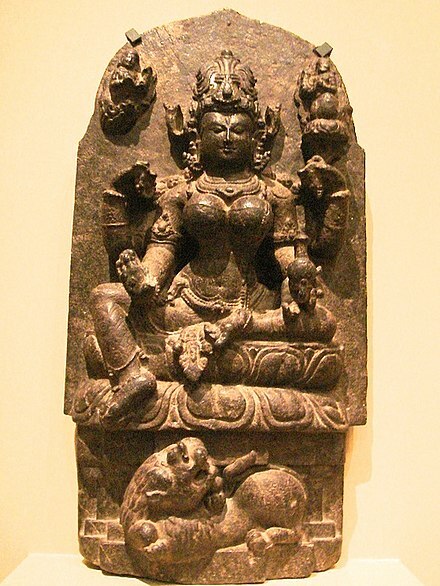 Ganesha Purana references for Vāsuki around the neck and use of a serpent-throne. Krishan 1999, pp. 51–52. For the story of wrapping Vāsuki around the neck and Śeṣa around the belly and for the name in his sahasranama as Sarpagraiveyakāṅgādaḥ ("Who has a serpent around his neck"), which refers to this standard iconographic element. Martin-Dubost, p. 202. For the text of a stone inscription dated 1470 identifying Ganesha's sacred thread as the serpent Śeṣa. Nagar, p. 92. For the snake as a common type of yajñyopavīta for Ganesha. Ganesha Purana) I.46.1. For Ganesa visualized as trinetraṁ (having three eyes). 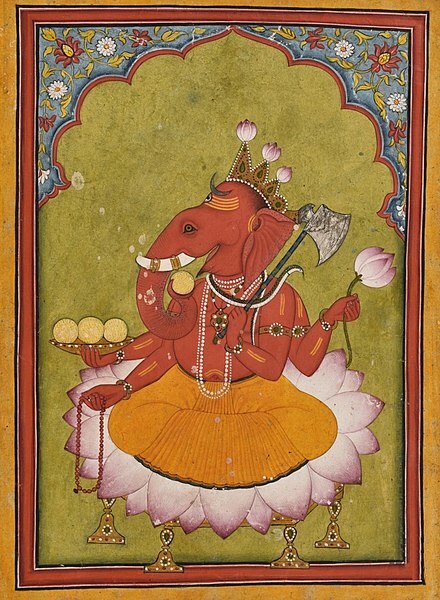 Ganesha Purana I.14, which includes a meditation form with moon on forehead. 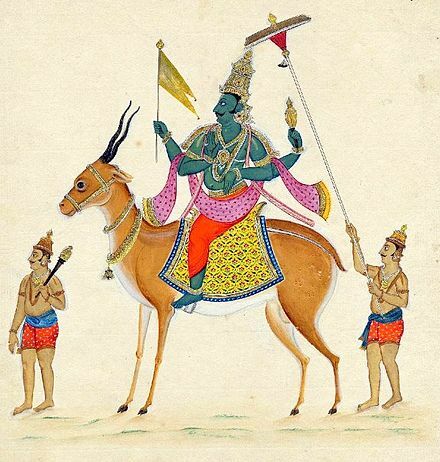 Ganesha Purana story of Mayūreśvara with the peacock mount (GP I.84.2–3) Maruti Nandan Tiwari and Kamal Giri, "Images of Gaṇeśa In Jainism", in: Brown, pp.101–102. Nagar. Preface. Martin-Dubost, pp. 231–244. Sanskrit Literature", in: Brown (1991), p. 73. For mention of the interpretation that "the rat is 'the animal that finds its way to every place,'"
Nagar, pp. 7–14. For a summary of Puranic variants of birth stories. Martin-Dubost, pp. 41–82. 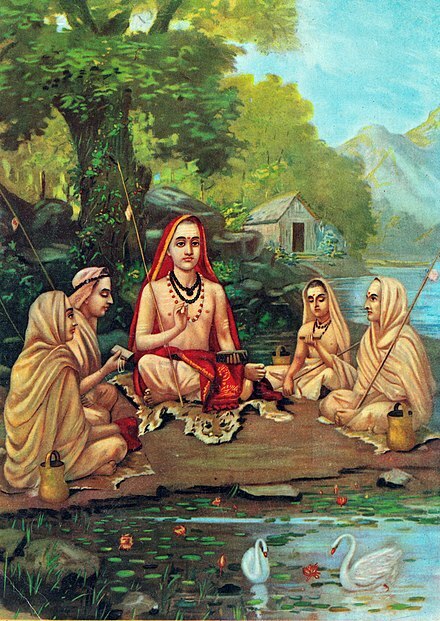 Chapter 2, "Stories of Birth According to the Purāṇas". Getty 1936, p. 33. "According to ancient tradition, Gaṇeśa was a Brahmacārin, that is, an unmarried deity; but legend gave him two consorts, personifications of Wisdom (Buddhi) and Success (Siddhi)." Krishan 1999, p. 63. "... in the smārta or orthodox traditional religious beliefs, Gaṇeśa is a bachelor or brahmacārī"
Cohen, Lawrence. 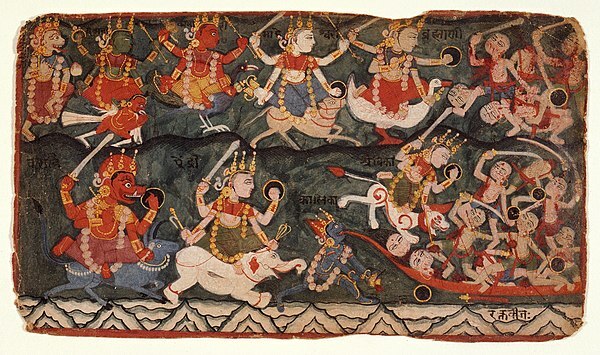 "The Wives of Gaṇeśa". Brown, pp. 130. Thapan, pp. 15–16, 230, 239, 242, 251. Brown (1992), p. 9. Thapan, p. 225. 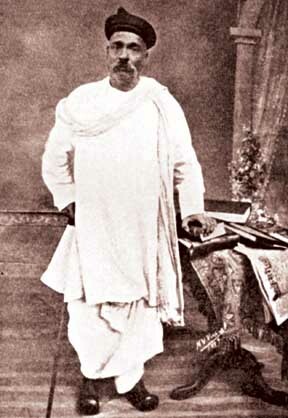 For Tilak's role in converting the private family festivals to a public event in support of Indian nationalism. Momin, A. R., The Legacy Of G. S. Ghurye: A Centennial Festschrift, p. 95. Brown (1991), p. 9. For Ganesha's appeal as "the god for Everyman" as a motivation for Tilak. 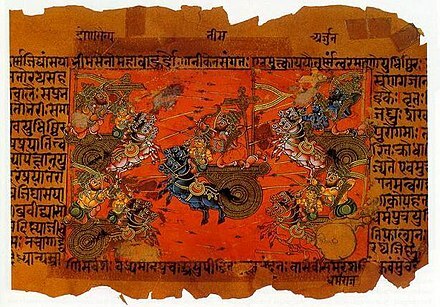 Sanskrit Literature". Brown, pp. 70–72. Nagar, p. 3. Rao, p. 1. Thapan, p. 101. For interpolation into the Maitrāyaṇīya Saṃhitā and Taittirīya Āraṇyaka. Dhavalikar, M. K. "Gaṇeśa: Myth and reality" in Brown 1991, pp. 56–57. For Dhavilkar's views on Ganesha's in early Literature. Courtright, p. 163. 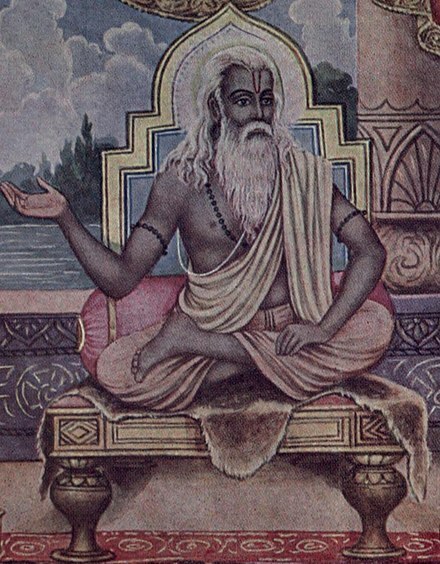 For Dating of the pañcāyatana pūjā and its connection with Smārta Brahmins. Bhattacharyya, S., "Indian Hymnology", in: Bhattacharyya (1956), volume IV, p. 470. 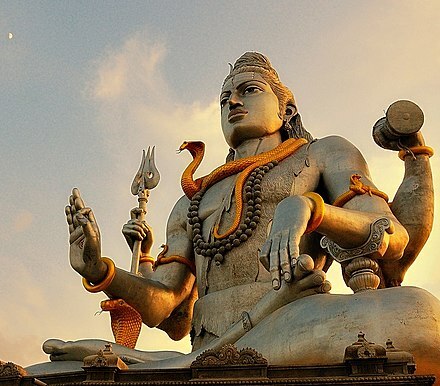 For the "five" divinities (pañcādevatā) becoming "the major deities" in general, and their listing as Shiva, Shakti, Vishnu, Surya, and Ganesha. Grimes, p. 162. Pal, p. ix. Nagar, p. 175. Martin-Dubost, p. 311. Getty, p. 42 Nagar, p. 185. ^ Nagar, pp. 185–186. ^ Martin-Dubost, p. 311. ^ Martin-Dubost, p. 313. ^ a b Krishan, p. 121. ^ Thapan, p. 157. ^ Thapan, pp. 151, 158, 162, 164, 253. ^ Krishan, p. 122. ^ Thapan, p. 158. Sanskrit Series Office Thapan, Anita Raina (1997). Understanding Gaņapati: Insights into the Dynamics of a Cult. New Delhi: Manohar Publishers. ISBN 81-7304-195-4.